Welcome to InterNations! We are pleased to invite you to our March Newcomers´ Event, a relaxed get together for new members only! Join us at "Gustami", an original Italian bar and restaurant right in the city centre. Enjoy a couple of Afterwork drinks with other new members and/or have dinner! 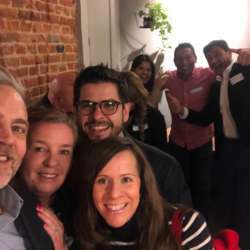 Get to know your new InterNations home community, discover what our network is all about and learn about the benefits for our members in Madrid. Make the best out of your membership in one of the most active InterNations Communities worldwide! Meet other new members at this event, start networking now, and ...just have a good time with us!